Every 21st century kitchen should be well equipped with the latest and greatest gadgets. Whether you’re a home cook or a professional chef, cooking a meal for your family can feel like a lot of work. 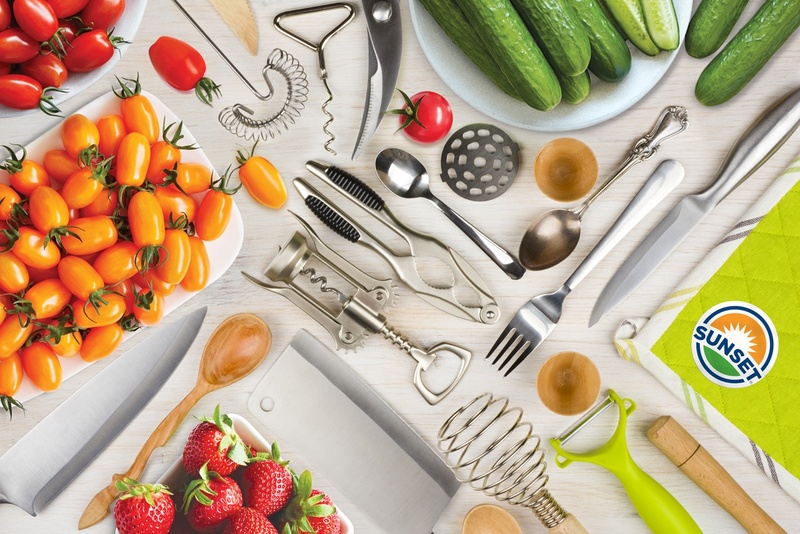 There are so many kitchen gadgets out there promising to save you time in the kitchen. But which are worth investing in? We picked four of our favorites that will help you save time and stay safe in the kitchen. Keep your fingers safe with a shielding hand protector. This 2 in 1 gadget allows you to protect your fingers and get the best slice. The hand protector holds your food down to make sure it doesn’t move as you slice through anything from an onion to a pepper. We recommend finding one that is durable and uses strong prongs to keep your food still, with a clear design that makes it easier for you to see exactly where you’re cutting. Hand cutting tomatoes into quarters is a thing of the past with a handheld tomato and grape cutter. 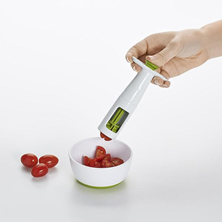 This gadget helps you quickly cut small tomatoes or grapes into quarters with one quick motion. Slicing up tiny tomatoes and slippery grapes is easier with this handy cutter. 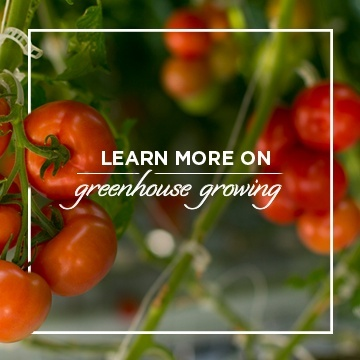 No more worrying about tiny tomatoes rolling all over the countertop. What’s better than 2 in 1 gadgets? 3 in 1 gadgets! This peeler eliminates the need for several peelers by incorporating three unique blades into one device. 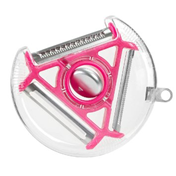 Rotate between the blades to choose which type of peel you want: standard, serrated or julienne style! How can a single pair of scissors make you five times faster in the kitchen? When it’s a 5-blade pair of herb scissors! This handy device cuts down on recipe prep time by slicing and dicing your favorite herbs with ease. These dishwasher safe scissors even come with a brush to help you easily and safely clean between the blades so you can cut your time in the kitchen with less risk of cutting yourself! We hope you found at least one helpful suggestion to make your next meal a little bit easier and safer to prepare. 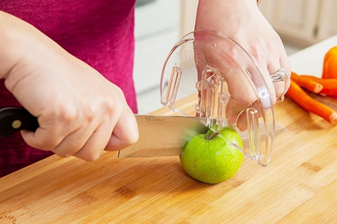 Because while it’s always great to save time in the kitchen, there’s no such thing as being too safe when you’re slicing and dicing your favorite fruits and vegetables. 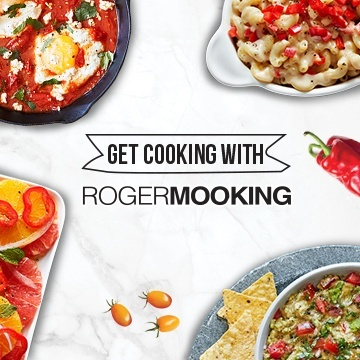 Got a favorite gadget that’s helped you become a better, safer, or faster home chef? Tell us about it in the comments section!